Groware is one of Canada's leading providers of software for the grower and nursery markets. 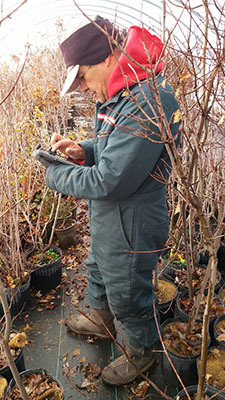 For 30 years, this Ontario-based company has provided software solutions to help growers of trees and shrubs and nursery owners across North America produce and maintain accurate inventories of their trees, shrubs, foliage and plant materials, and to support the day to day management of their businesses. Over the years, the company's software has been through several iterations. This year, Groware partnered with global IT company Bluefinity International and has used its rapid app development platform Evoke, to create mobile app versions of its inventory management software, which is already improving inventory management for its customers. Every nursery owner and grower of plants and shrubs has difficulty keeping track of their plants and shrubs because they are growing constantly. 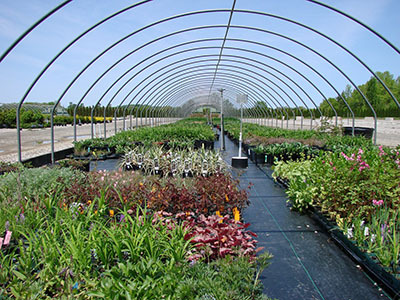 Michael Heeney, Owner of Groware said, "Inventory management in the nursery business is different to any other industry. Everything grows and what customers put in the ground in Spring won't be the same next Spring - keeping track is hard. We provide technology to ease their inventory management challenges and help them stock take accurately, plan their crops and manage their business more effectively." Prior to using Evoke, Groware had introduced handheld devices to help customers update tasks and stock take more easily in the field. However, with most customers located in rural areas with limited internet coverage, updates were rarely carried out real-time and the handheld devices needed to be synced later with other software. Inevitably data inaccuracies would creep in. Michael said, "Stocktaking on the move is difficult. We've provided several generations of software and handheld devices which have improved accuracy, but they aren't perfect. Customers need real-time technology to enable truly accurate inventory management and it was our goal to offer mobile apps to solve these issues." As a specialized company, Groware wanted to use a rapid app development platform to develop mobile apps quickly and easily without having to rewrite all its existing back end code. Its existing software had been created over many years and comprised of over one million lines of code and a substantial Oracle database. The company wanted to use this code and its existing database and fully integrate them into the new solution. But finding the right solution proved challenging. Michael explained, "We tried at least three different rapid application platforms and all were problematic. They were inflexible, lacked support or used proprietary products and just didn't allow us to do what we needed." Groware wanted a completely flexible, affordable solution that allowed it to integrate its data in the Oracle database and include its existing code so they wouldn't have to completely reinvent the wheel. Following a strong recommendation, Groware approached Bluefinity International who had launched a rapid app development platform called Evoke. Evoke enables the rapid development and deployment of mobile, desktop and web, hybrid and native apps for any device and operating system. 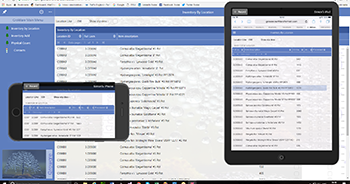 It uses a single app design and code base, and enables apps to be created for multiple device types, databases and operating systems including iPads, iPhones, Android and Windows phones and tablets, plus Windows, Linux and Apple desktops. Evoke's "no code" option, uses point and click technology to add Evoke business functions that read, update calculate, restrict and adapt areas such as database entries, the user experience and the navigation through the app. This has opened up building professional, sophisticated business apps to everyone. There are also business logic options within the platform that allow for all types of apps to be enhanced or integrated with any applications/database without the need to amend existing back end code/logic. In just a few months of working together, Groware launched beta mobile apps to rave customer reviews. Evoke has offered Groware a low cost and completely flexible platform that integrated with its existing databases and enabled it to use its existing code. For Groware, a key benefit has been the amazing level of support provided by Bluefinity throughout the development process. Another vital factor is that Evoke enables apps to be created and optimised for any device with the right look and feel for different customers. Michael says, "Whether customers are using a desktop, handheld device, mobile phone or tablet, the apps can be automatically customised for each device so they look completely professional - this is brilliant." "The support from Bluefinity has been unbelievable. They have worked closely with us to meet our specific requirements. The team has been constantly available and their sample libraries, apps and advice have been second to none - they have a very rare approach in the industry." He added, "Evoke is completely flexible and enables customers to make edits in real time. If someone is out in the field using the app to stock take, they can post live data and make adjustments in real time too - it is enabling far more accurate inventory management and our customers love it. It is improving the management of their operations and streamlining their processes." "Evoke isn't limited to the handheld devices either and it doesn't need to be constantly internet based as it can provide for off line work, and fully automated synchronisation when connection is re-established. It also allows native apps to be created and that is very exciting for us. We are developing standards in Evoke that we will be able to use again and again. While we are presently further enhancing our inventory management apps, we will in future be re-working all of our software so that it is generated using Evoke, which will benefit our customers hugely." Another benefit of Evoke for Groware's customers is that some of them have seasonal businesses, such as Christmas tree companies. As the subscription to Evoke is a user based monthly subscription - it is highly cost effective for such companies to use the platform to manage their business seasonally and only pay for the solution when they need it. Michael added, "I will be recommending Evoke to many of my contacts in the software industry who are all looking for new ways to take their software to the next generation. Apple has announced it will drop support for 32 bit apps and Microsoft plans to follow suit, so Evoke could be the perfect solution for companies affected by this." Malcolm Carroll, Director, Bluefinity International said, "We are delighted to have enabled Groware to achieve its goal of launching mobile apps successfully for its customers. Using Evoke, it has the right platform in place to achieve further growth and success and we look forward to a long partnership with the company."